What Does Ogden Lodge Do? Homer Lodge No. 199 and Ogden Lodge No. 754 held a joint installation of officers on Sunday June 10 at Ogden Lodge in downtown Ogden, Illinois. WB Dave Harry was installed as Master of Homer Lodge No. 199 and WB Aaron Ketchum was installed as Master of Ogden Lodge No. 754. This page contains links to sites maintained by other organizations. Neither this Lodge or the Grand Lodge of Illinois can to the accuracy of information provided by linked sites. Linking to a web site does not constitute an endorsement by the Grand Lodge of Illinois, members, lodges or employees of the sponsors of the linked site or the products presented on the site. The opinions expressed on this webpage represent those of individual authors and unless cleary labelled as such, do not represent the opinions or policies of any Masonic lodge, Grand Lodge or recognized Masonic body. 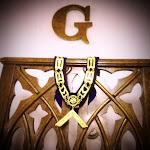 2011 -2012 Ogden Lodge No. 754.. Simple theme. Theme images by PeskyMonkey. Powered by Blogger.